Drug delivery with a well-positioned micro-catheter in arteries, provides a viable method to treat unresectable tumors. Multifunctional microspheres or nanoparticles can be employed as drug carriers for different treatment scenarios. The success of each trans-arterial procedure depends on how many of the injected anticancer agents reach the tumor sites, as stray agents have the potential to destroy healthy tissue or even other organs, either via ischemia, ionizing radiation, or toxicity. A direct tumor-targeting methodology has been proposed to enhance the efficacy of trans-arterial treatment through the development of patient-specific computer simulation models and a new methodology of smart micro-catheter positioning that enable optimal tumor targeting. This patented technique has been computationally and experimentally validated for microsphere delivery; however, it has not been well extended to direct nanodrug delivery. This study focuses on: (i) an improved embolization procedure by using microspheres with an anti-reflux injection catheter, and (ii) direct nanodrug delivery in large arteries as well as microvessels with realistic blood rheology. Considering the hepatic artery system with tumor as a test bed, the results validate the feasibility and evaluate the effectiveness of blood-vessel embolization to starve tumors as well as the direct nanodrug-delivery methodology to combat cancer cells. For microsphere delivery, a validated computational model has been developed to analyze the particle-hemodynamics before and after deployment of an FDA-approved anti-reflux catheter, which allows forward blood flow while preventing retrograde microsphere flow. The pulsatile blood flow dynamics and the transient pressure drop due to geometry-change of the deployed anti-reflux catheter tip were simulated under physiologically realistic conditions. A relationship between the pressure drop and embolization level was established, which can be used to provide clinicians with real-time information on the best infusion-stop point. Considering direct nanodrug delivery, two different human hepatic artery systems with tumors were selected. To accurately model the nanoparticle (NP) transport, hydrodynamic interactions between the NP and the prevailing red blood cells (RBCs) have been considered. A model for shear-induced solute diffusion in concentrated particle suspensions has been updated for this purpose. Despite the significant enhancement of NP diffusivity caused by particle-cell interactions, transient three-dimensional simulations under physiologically realistic blood flow conditions indicate that shear-induced diffusion has a limited effect on nanoparticle transport in large arteries, say, d>200m, due to the strong convective effects. Overall, it is shown that direct nanodrug delivery to tumor-feeding hepatic artery branches is feasible. Nanoparticle fate after entering tumor microvasculature was also considered using computer simulations. A continuum model was adopted for the heterogeneous blood flow in microvessels featuring cell depletion layer near the wall. The effect of blood flow heterogeneity on NP distribution and extravasation (i.e., leakage into the surrounding tissue) was evaluated considering realistic tumor microenvironment. NP transport to tumor tissues was also considered in the context of direct nanodrug delivery versus passive drug targeting by virtue of enhanced permeability and retention effect. Nanoparticles were found to preferentially accumulate near the vessel wall, which enhances extravasation. Direct nanodrug delivery was found to increase NP-accumulation by tumors within a short time period, thereby drastically reducing the need for prolonged plasma half-life of drug particles. Zelin Xu was born in Shanxian, China, in 1988. He received a B.S. degree in thermal engineering from Central South University, Changsha, China in 2010 and a M.S. degree in thermal engineering from North Carolina State University, Raleigh, NC in 2014. He has been a doctoral student in the Department of Mechanical and Aerospace Engineering at North Carolina State University since 2014. He was a part-time intern at ABB Corporate Research Center at Raleigh, NC from May 2015 through June 2016. 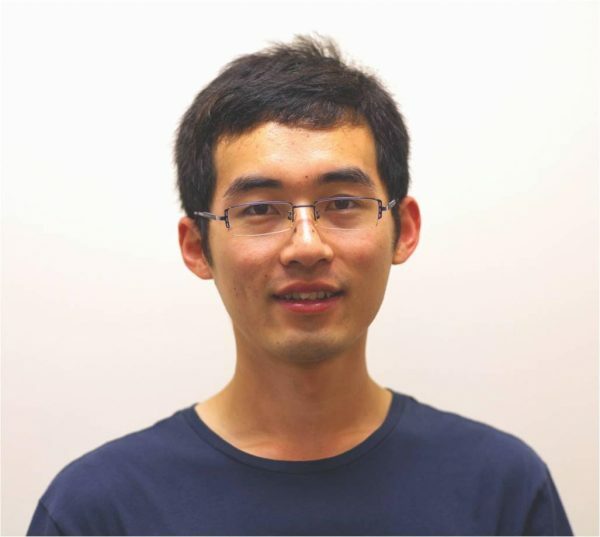 His dissertation research focuses on computer simulation of blood flow and particle transport with applications to vessel embolization and direct nanodrug delivery to tumors.